To ensure the best experience for your hummingbird friends, you should always have a clean feeder. Unlike a seed-based feeder, hummingbird feeders use sugars that can quickly clog bases and spouts if not thoroughly cleared every time you refill it, but oftentimes this process can seem troublesome and difficult when dealing with tiny parts and odd angles. The Brushtech Brush Kit is the perfect solution to hummingbird feeder cleaning, making it easy to get every nook and cranny of your feeder spotless! Includes three separate brushes of variable size for easy access to sockets, nozzles, and bottles on all kinds of hummingbird feeders. The product was exactly what we were wanting. I've been needing some brushes to clean my feeders for some time & was glad to find these. They allow reach of all areas of my feeders. These brushes are wonderful! 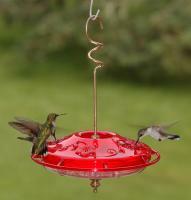 They work great for cleaning our hummingbird feeders. 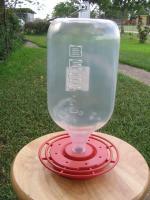 Perfect to keep hummer's feeders clean! This fulfills my need to get in the nooks and crannies of the hummingbird feeders and that pesky culprit, mold. I also gave a set as a gift and she likes her set also. These brushes have a nice handle that makes it easy to hang on to. It is a good and sturdy set. I bought the brushes for my wife. She has been feeding hummingbirds for years. The brushes are great, she can clean the feeders in no time. I've been feeding hummingbirds for years and always had a hard time cleaning the feeder properly. These brushes work great. I also bought them for my in-laws and they like feel the same way. Thank you! I found the brushes a little on the large size, they needed quite a lot of pressure to get them through the openings but they did a good job of cleaning the feeder. The thin bristle brush was too thick for my perky pets feeder holes. The large brush only covers a portion of the interior of the feeder glass. But the intermediate brush (referred to as brush for the base or holder) does a fairly good job of covering both the holder and portions of the interior of the feeder glass. Great set of brushes. I use the medium (middle) brush daily. 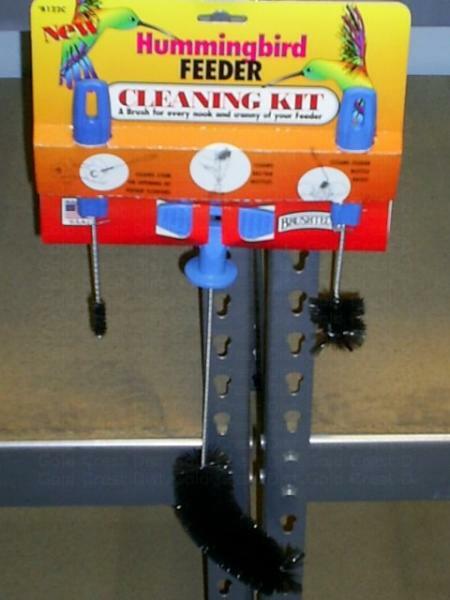 For the type of feeders I have, these brushes are too much, but I suspect they would be very useful with certain feeders. It works good. I like the cotton on the end of the brushes because it cleans better. I have only used these once, and they did the job. The only thing that bothered me about them is that they are too wirey to pick up all the material inside the globes. I think I would prefer bristles of a softer material. Only one brush of three, the smallest, fit into the feeders. One is too large and totally useless for me. The middle size brush is OK, but the bristles are a little too soft to do a good job of cleaning. I wish I had returned the kit.